These are my videos and animations, created from videos, photos, with music and props. Our cat BoyBoy is the apple of our eyes! 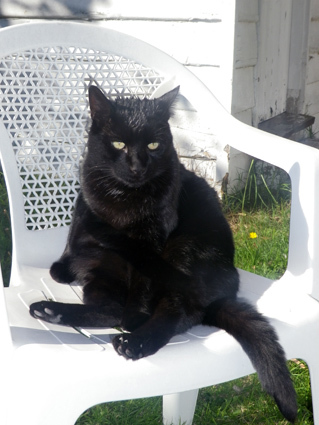 We believe that as a black cat he brings us luck! I can tell you many stories about his companionship and how he makes us laugh with his smart behaviour and playful attitude. We love him very much! 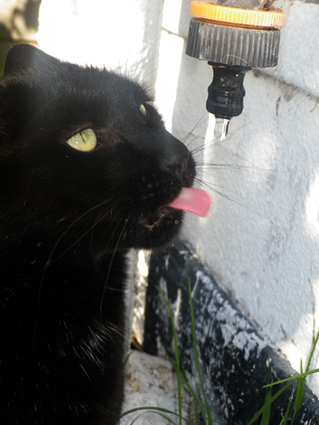 Most people know that cats hate water and don’t like to get wet. Luckily I had my camera handy when BoyBoy decided to surprise us and had fun with water. Does your cat like water? Я признаюсь с радостью в том, что обожаю цветы, любые цветы, будь то розы, полевые, искуственные или сушенные цветы. Недавно я побывала в цветочном магазине на уроке в Мельбурне, Австралия. Вот что я создала. I admit that I adore flowers. Any colour, any size, all types. I love flowers in summer and winter, in spring and in autumn. I like real and fake flowers, on photos, drawings, even dried ones. 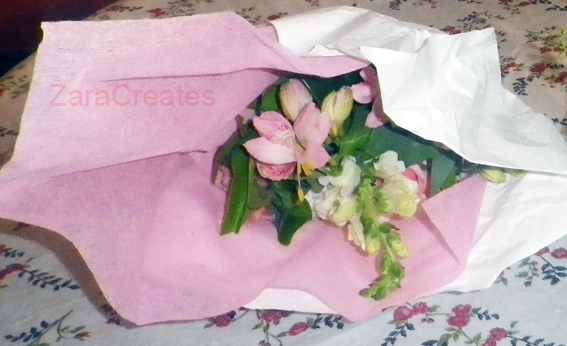 It is not surprising then that recently I enjoyed a floral arrangement class, which my sister presented to me! Organised in a small, beautiful flower shop in the city of Melbourne, it attracted 8 female students. I had to get a taxi in the city to make it right on time. Our teacher was a florist and she passed on to us some useful tips and industry secrets and showed us a few practical ways of arranging flowers. I was in heaven and very happy with my two arrangements. The class was two hours long with a break for tea and biscuits. This time out gave me a chance to observe and enjoy the beautiful interior of the flower shop. It was full of blooming flowers in glorious colours, vibrant, fresh and fragrant. Lots of flowers in vases, hanging from the light features, walls, containers, in bird cages and on a ladder, as well as in a wheelbarrow. There were also soft toys and greeting cards for different occasions. All 8 female students were very happy with their creations, as was I. 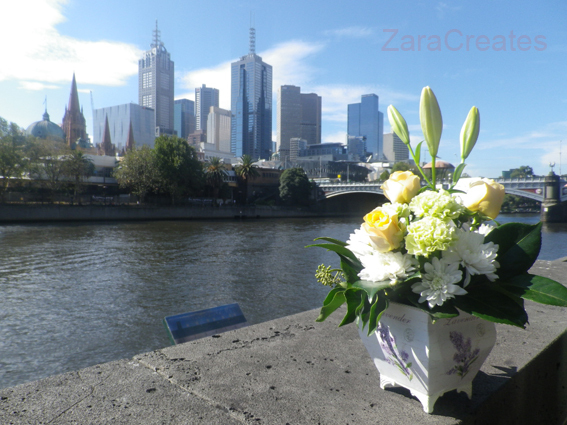 While walking with my flowers in the city of Melbourne, I attracted many glances of admiration and curiosity. I safely brought the creations home and they decorated my living room for a week and a half. I am looking forward to more flower arranging classes in the near future. That day in the city has inspired my new video, which I dedicate to all people, who love flowers and also to my friends and relatives, whom I love very much. Enjoy the latest video of mine. I was lucky to catch a beautiful moment at Mordialloc Beach, in Melbourne, Australia. A Duck and her 10 ducklings wanted to swim but they had many obstacles ahead. I love Pandas very much, they are cute and cuddly adorable bears. Did you know that Giant pandas have black fur on their ears, around their eyes, muzzle, legs and shoulders, otherwise they are white. live in China and I want to go one day and see them. For now, I am excited to get greeting cards with Pandas from Graceful Avenue. A beautiful panda animation has just been released by this gift brand and I am sure you will love it, too. In this video, I showcase my Photo Art creations and disclose some of the steps in the process. See how we change ordinary images into surreal, unreal and beautiful digital artworks. With tango music, it is an exciting video, featuring Audrey Hepburn image, which we have designed. I would be happy to change your images, improve wedding photos that don’t look quite finished and re-touch any old photographs that you hold dear. Photo-retouching starts from $30 per image. To discuss your project and to get a free quote, please Email to zaracreates@gmail.com. Original photographs of flowers with beautiful classical music by Beethoven and Liszt. Beautiful flowers are pleasure for the soul! Enjoy and let me know what you think. This is my animation, created with 3 ducks, dancing to the popular children’s song, sang here in French. After visiting Italy recently and with hundreds of photographs on my memory cards, I was inspired to create a tribute to this wonderful and beautiful country. Hope you are inspired to go and see Italy for yourself! I left Venice for another holiday! I have posted a second video with Italian Photos and music on youtube. Enjoy!